You have to network to get work, but it doesn’t come naturally to everyone. Carol Schiro Greenwald spends her time teaching law firms to grow their businesses and their profitability, but she’s found that the art of networking often requires a bit more instruction. Greenwald wrote her book Strategic Networking for Introverts, Extroverts, and Everyone in Between for the wallflowers and the social butterflies alike who need help turning cocktail conversations into business relationships. In this episode of the Modern Law Library, ABA Publishing’s Ashley Alfirevic speaks to Greenwald about the networking matrix, interview double dates and random acts of lunch. Whether they’re budding young attorneys or certified rainmakers, lawyers always need to increase their clientele, understand their audience and network in their niche. But effectively mingling at pre-planned events or appropriately linking referrals can take more prep–and more follow-up–than most people expect. Networking the right way requires analysis, strategy and some awareness about the speed of downtown elevators. Greenwald shares her hard-won experience in the world of soft skills. 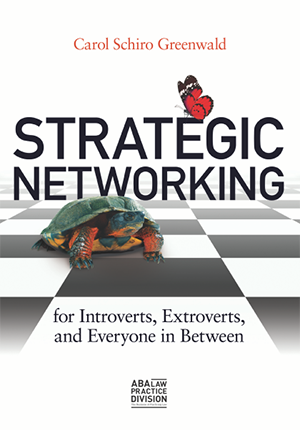 Podcast listeners can purchase Strategic Networking for Introverts, Extroverts, and Everyone in Between through the ABA webstore. Tune in to learn more. 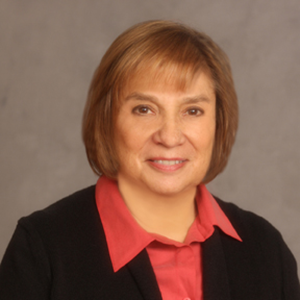 Carol Schiro Greenwald, PhD, is a marketing and management strategist, trainer, and business development coach. Her book Strategic Networking for Introverts, Extroverts, and Everyone in Between provides a training and coaching guide for linking business development activities with both personal and firm goals.